Trinity College Slate Server by M.LaHart & Co.
Gear up your school spirit with the gift of awesome NCAA and college products. This Trinity College Slate Server is a versatile choice for any occasion. 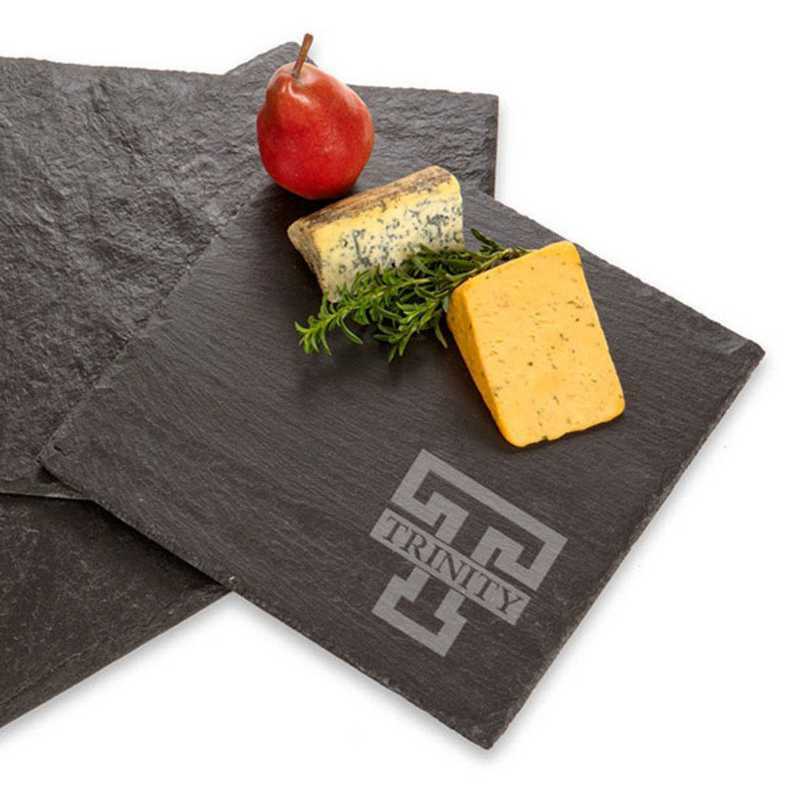 Natural, textured slate with the Trinity logo printed in the lower right corner., Measures 12 x 12 x 1/4 in., Made in Vermont with rough-cut edges and textured surface., Only at M.LaHart & Co., Black felt bottom protects tabletops., Easy to clean with a damp sponge.Officially licensed by Trinity College.Manufactured direct from a trusted supplier. You're reviewing:Trinity College Slate Server by M.LaHart & Co.